The largest event in the FM calendar will commence in less than 3 weeks. From 20 – 22 June, FM professionals will descend on ExCeL London to Source the latest innovative solutions to address project requirements and services at the cutting edge of FM innovation, all at the global meeting place for the FM professional network. Being held in association with the British Institute of Facilities Management and partnered with CBRE, creating a flagship event with industry support tackling the critical issues facing those working within FM. Part of the show floor will be the perfect place for you to get hands on experience with the latest advances across facilities management. Finding products and solutions that focus on the future of FM and witness demonstrations of their implementation. With a mix of both exhibiting suppliers and non-exhibiting vendors, visitors will have benefit from real innovation. 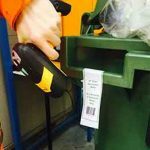 Visitors will again be able to pre-book meetings with the suppliers that cater to their project needs ahead of arriving at Facilities Show, providing tangible ROI before visitors have even entered the ExCeL, London. New to 2017, the Facilities Networking Hub and Games Arcade will be two areas of the show floor not to be missed. Providing FMs with the opportunity to grow the professional community among like-minded peers over a drink while discussing current projects or during a game of pool. Networking sessions will be hosted by industry groups like FM North and The Hills Club on top FM and property trends for 2017 and beyond. Whether visiting key associations like BIFM, CIBSE and RICS or stopping by the Total FM Zone, visitors can meet with the HR departments of international TFMs and gain insight to courses, accreditation and more. Attracting the best talent in the market and develop facilities managers at every level, visitors will benefit greatly from the BIFM Careers Zone and the Total FM Zone. 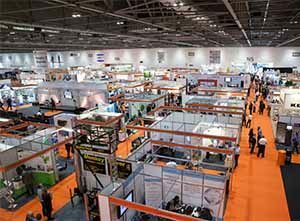 Facilities Show badge holders will be able to further develop their specialisms and source products in security, fire, safety, field service and corporate wear with market leading shows taking place in adjoining halls. The Facilities Show Seminar Theatre and the Keynote Theatre will examine all the key issues in facilities management. Addressing the most pertinent topics, the tailored programme delivers insights from industry experts as well as real case studies and developments from Senior FMs. Commenting on the line up, Charlotte Wright, Senior Content Manager for Protection & Management, said: “A wealth of years of research with the FM community has resulted in the most focused programme that Facilities Show has had yet”. Headlining the programme of more than 50+ speakers, this year’s inspirational speakers will be focusing on the theme of strength, resilience and defying the odds. With each speaker delivery a session on the obstacles they faced, solutions they found and how the results allowed them to march on. Double Olympic gold medallist Dame Kelly Holmes will speak on Tuesday 20th June from 11.30 – 12.30, Rock star Professor Brian Cox OBE will speak on Wednesday 21st June from 11.30 – 12.30 and Falklands War veteran Simon Weston CBE will speak on Thursday 22nd June at 11.30 – 12.30.